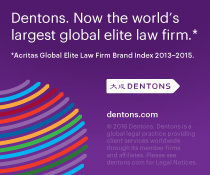 October 2, 2014 marked an important day in the history of the Dentons Canada LLP entertainment law practice group: David Steinberg wore a suit and tie for the entire day, and he was not scheduled to attend either a funeral or bar mitzvah. Later that day, we were thrilled to attend the Lexpert Zenith Awards ceremony, at which, among other luminaries, our own Ken Dhaliwal was feted for his achievements during the course of his entertainment law career. 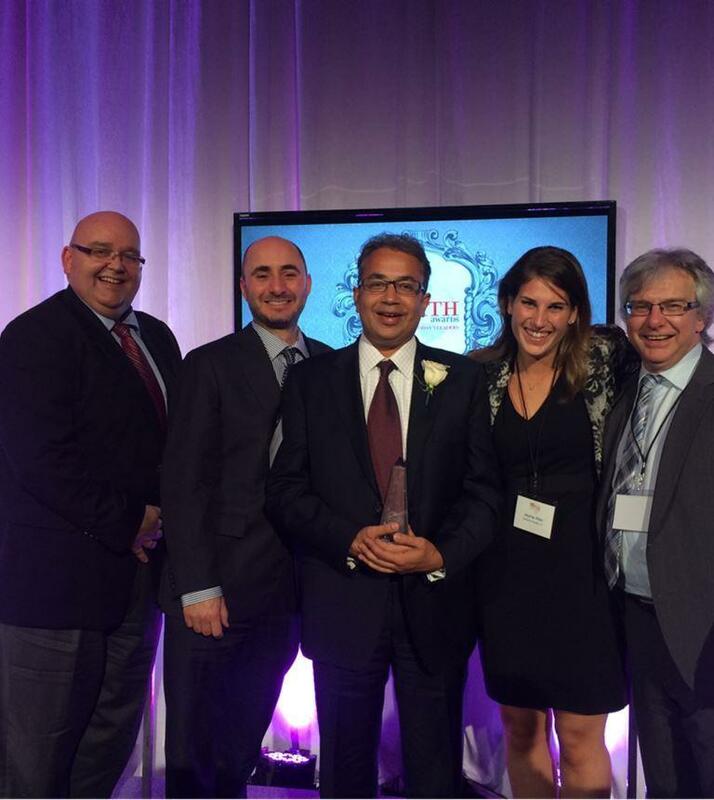 The photo below, taken at the event, features all of the lawyers in the Toronto entertainment group, because none of us could bear to cede the spotlight to Ken for even a minute we wanted to show our support for our good friend and colleague. It was a complete coincidence that we are arranged, from left to right, in descending order of height. 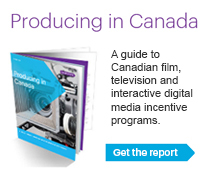 More than a decade after the initial release of Creative Commons licenses, they remain widely used in a wide range of cultural activities – but are, perhaps surprisingly, only infrequently relied on by Canadian producers of commercial film, television and new media projects. On May 7, 2013, the OBA Entertainment, Media & Communications Law Section presents a lunch session which will offer attendees a primer on the “what” and “how” of Creative Commons licenses, along with a critical discussion and assessment of why use of CC-licensed material has not enjoyed the “thumbs up” from the production community that many thought it would – and whether that should change. The session features panelists David Fewer (Director of the Samuelson-Glushko Canadian Internet Policy and Public Interest Clinic (CIPPIC)) and Tony Duarte (author of Canadian Film & Television Business & Legal Practice). The session can be attended both in-person and via webcast – registration details are available at the OBA website. Just reconcile yourself to the fact that he’s been more productive than you: join the OBA’s Entertainment, Media & Communications Law Section for its annual “Luminary Lunch” with Canadian producer, broadcaster, media mogul, vineyard owner and philanthropist Michael MacMillan. In a wide ranging and in-depth conversation, the former Executive Chairman/CEO of Alliance Atlantis Communications and current CEO of Blue Ant Media, will provide insight into his roles as producer, media executive and broadcasting entrepreneur. Michael has had a front row seat in the growth and development of the film, television and broadcasting industry in Canada, and has expanded his endeavors to include co-founding and chairing Samara, a non-partisan charitable organization that works to improve political participation in Canada, as well as Toronto’s Open Roof Festival, a not-for-profit outdoor film and music series. In an informal lunchtime chat with host Stephen Zolf, Michael will discuss where he’s been, what he’s doing now, as well as share his observations on the media business, the challenges of the new digital environment and the prospects for the business of Canadian broadcasting. The 2013 installment of the OBA’s EM&C Luminary Lunch will be taking place on Thursday, April 4 – registration details are here. Today at the Prime Time Conference in Ottawa, Paul Calandra, the Parliamentary Secretary to the Minister of Canadian Heritage and a Member of Parliament announced the implementation of Canada’s policy on coproductions. So at this point you may well be asking yourself, “Canada has a policy on coproductions?”, or “what is Canada’s policy on coproductions?”. The answers to these questions are: yes, Canada does indeed have such a policy; and the policy can be found here. The policy statement as set out recognizes the importance of treaty coproductions in strengthening Canada’s audiovisual infrastructure and sets the objective of making Canada the number one choice as a coproduction partner. The recognition of the significance of coproductions and the goal set by the policy should not raise any objections – they are both correct and commendable. The policy enumerates certain guiding principles which will be used to achieve the objective of the policy. These principles are flexibility, openness to renegotiation and negotiation of treaties, alignment of coproduction promotional activities and the simplifying of administrative processes. Again, its hard to argue with these guiding principles – I know they would be welcome by many people in the production industry. What remains to be seen is how the policy’s goal is achieved in practice, and whether these principles are in fact implemented for future productions. It would be interesting if some sort of metrics were available in a year from now to measure any changes in the coproduction landscape as a result of the implementation of this policy. Section 14 of the Copyright Act (Canada)? Court battles waged by the heirs of the co-creators of Superman and the co-writer of “Y.M.C.A” (Victor Willis, the “cop”, in case you were wondering) are just two examples of efforts by artists in the United States to reclaim their copyrights using statutory termination rights. Copyright laws in the United States and Canada recognize certain “inalienable” rights on the part of authors to terminate grants of copyright (in the United States) or to have grants of copyright revert to an author’s estate (in both the United States and Canada). In the United States, significant litigation looms on the horizon as artists attempt to terminate grants of copyright to record companies and movie studios. In Canada, many people, even entertainment lawyers, are unaware that a “reversionary” right even exists. The Ontario Bar Association’s Entertainment, Media & Communications Law Section presents a CPD session which will offer a comprehensive overview of US and Canadian legislation and caselaw regarding copyright termination and reversionary rights, providing attendees with the tools to identify and respond to potential termination/reversion issues for their clients – be they creators or owners of copyrights. Moderated by Angelika Heim, featuring presentations by Adam Davids and Bob Tarantino, this breakfast program will be taking place on Tuesday, March 26, 2013, and can be attended both in-person and via webcast. Registration information is available here.